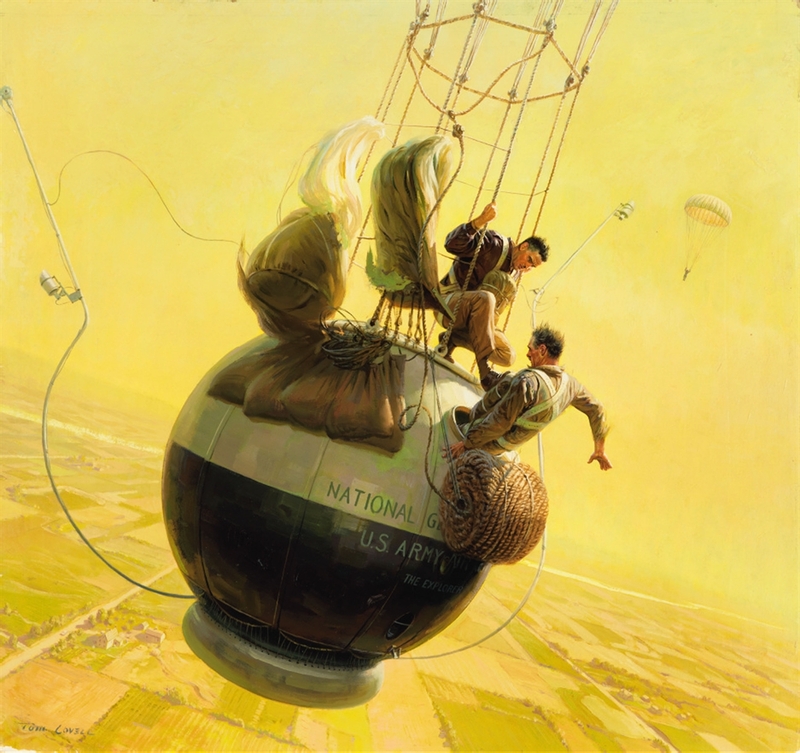 Tom Lovell (1909-1997) was a founding member of the National Academy of Western Art. 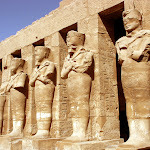 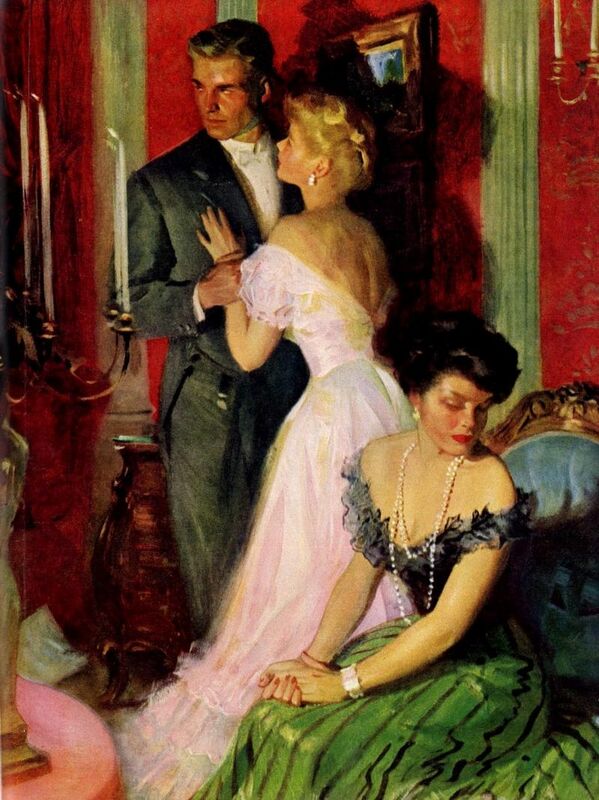 He received many honors for his illustrations and paintings. 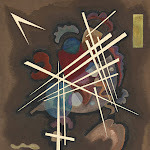 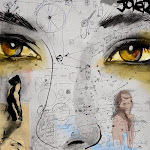 He was winner of the prestigious Prix de West award twice for his paintings. 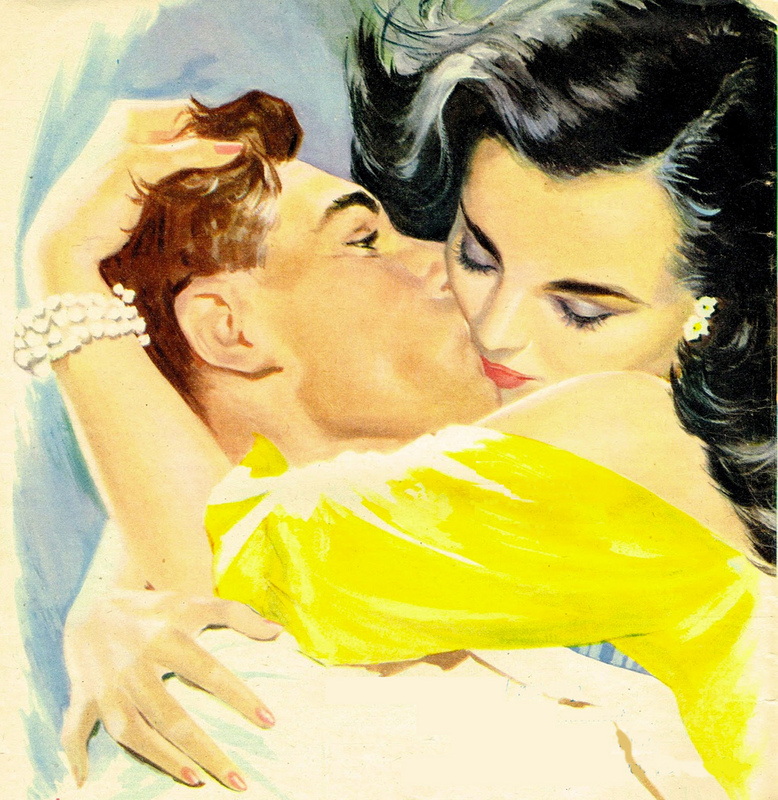 He was inducted into the Society of Illustrators in 1974. 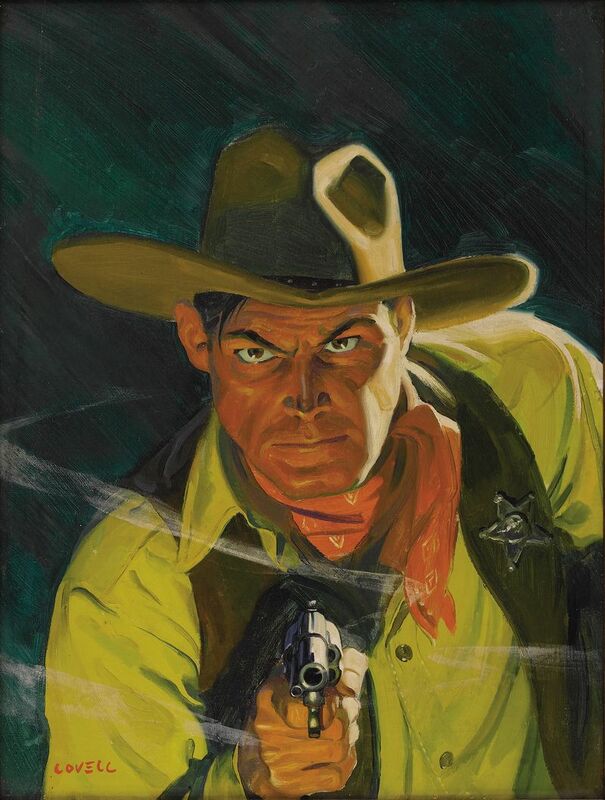 In 1992, Lovell received the Lifetime Achievement Award from the National Cowboy Hall of Fame and the Robert Lougheed Memorial Award for Traditional Painter of Western History. 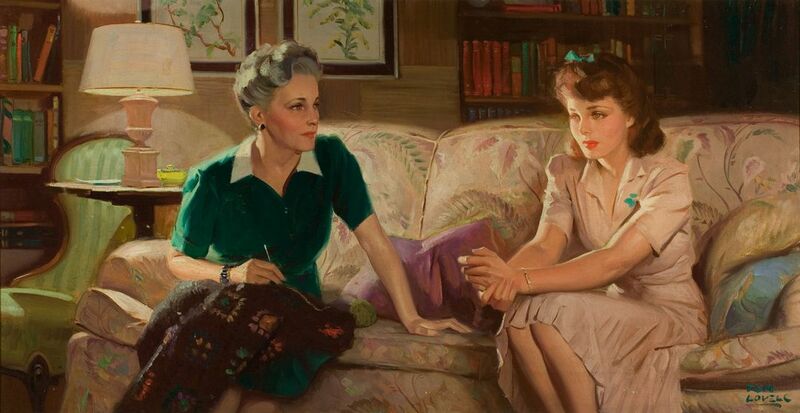 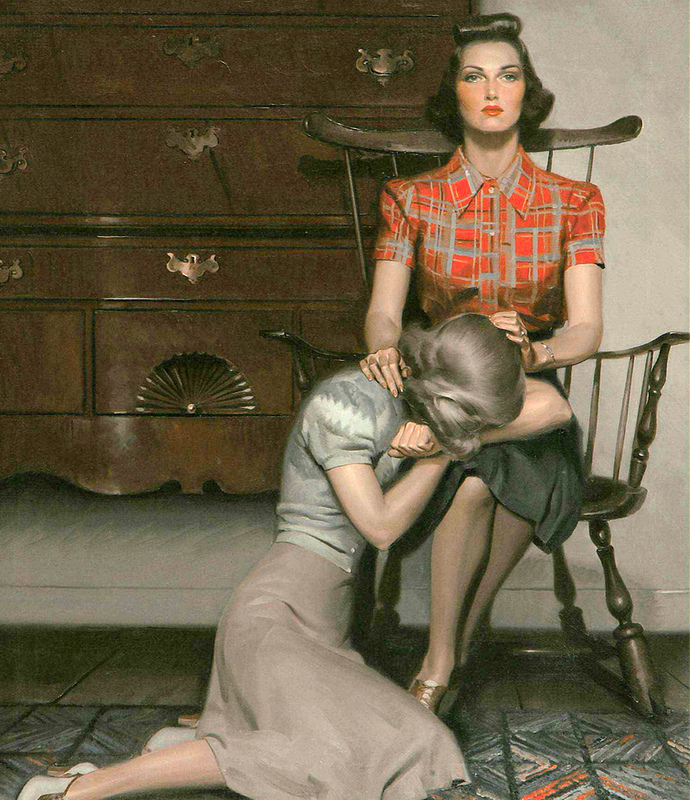 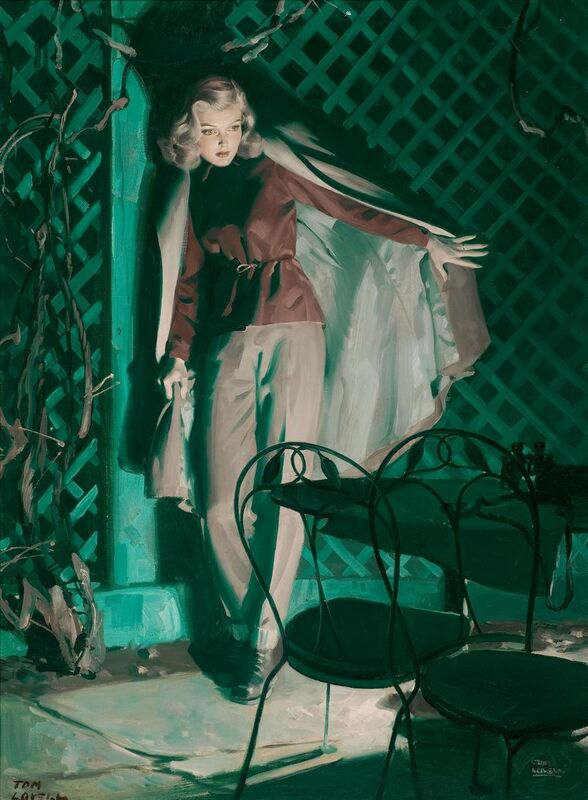 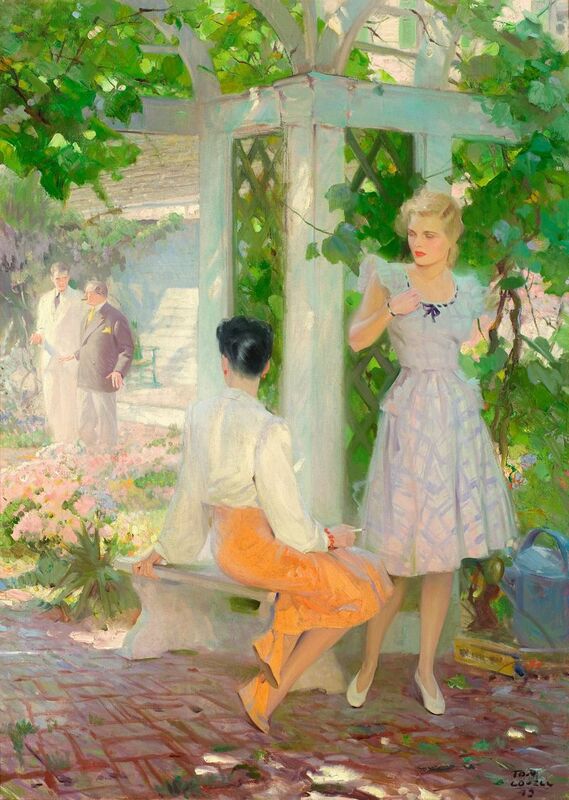 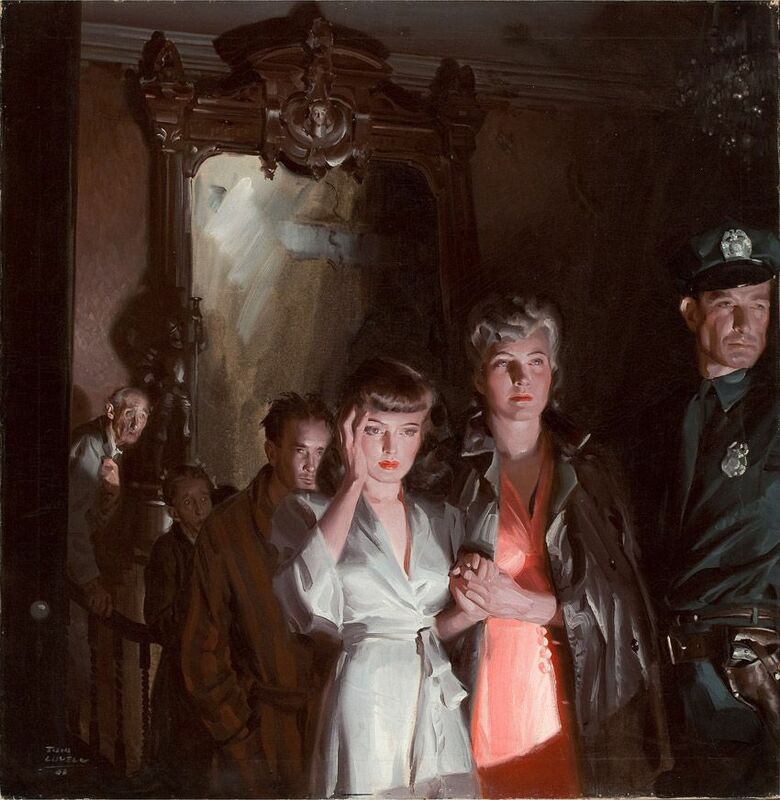 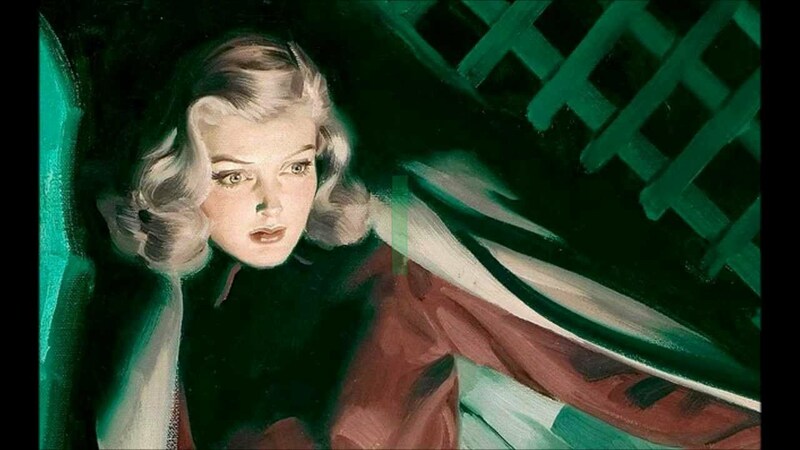 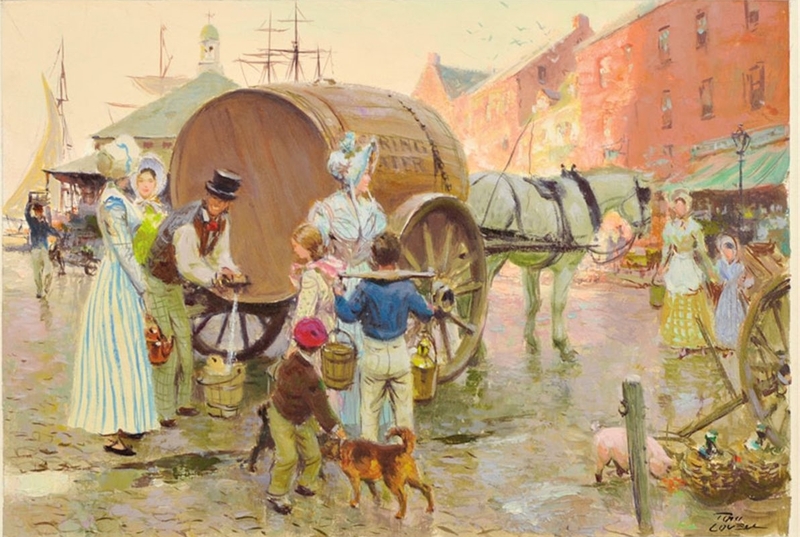 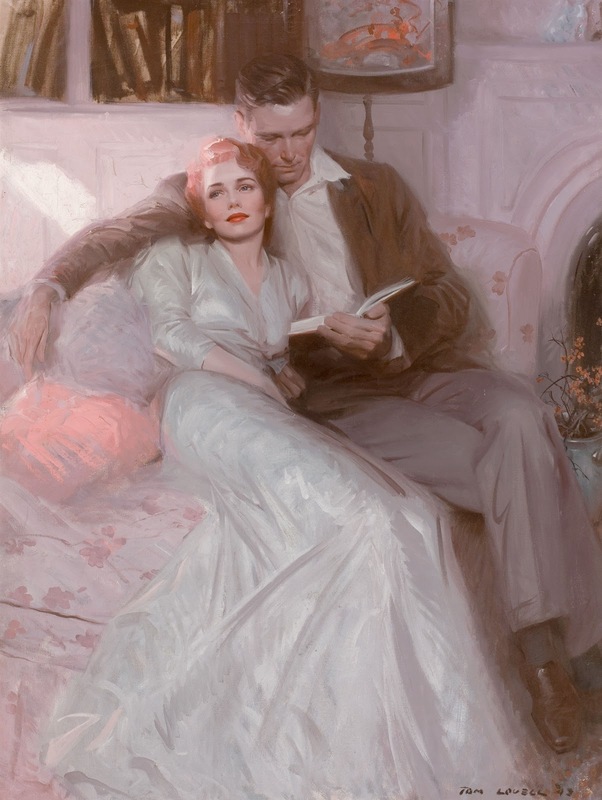 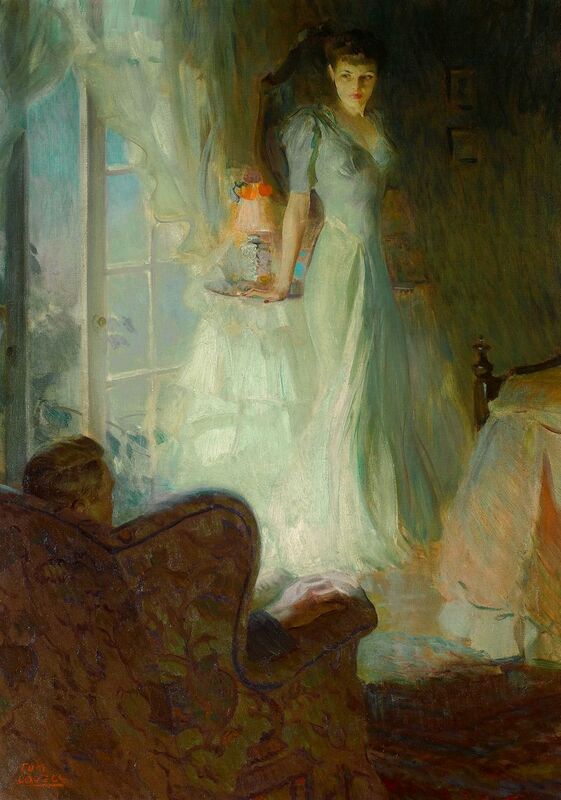 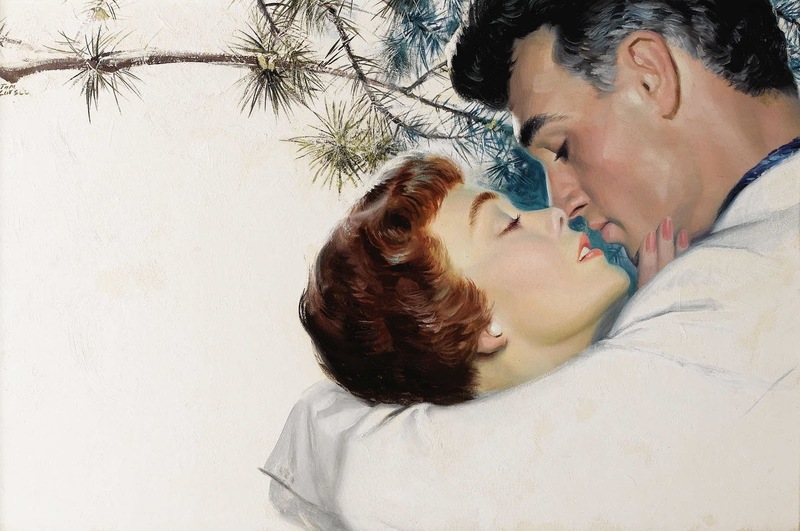 One of the best known illustrators in New York and then a painter of Western subjects, Tom Lovell paid great attention to details in his work and, because of this, seldom completed more than a dozen major oil paintings a year.He was born in New York City and attended high school in Nutley New Jersey. 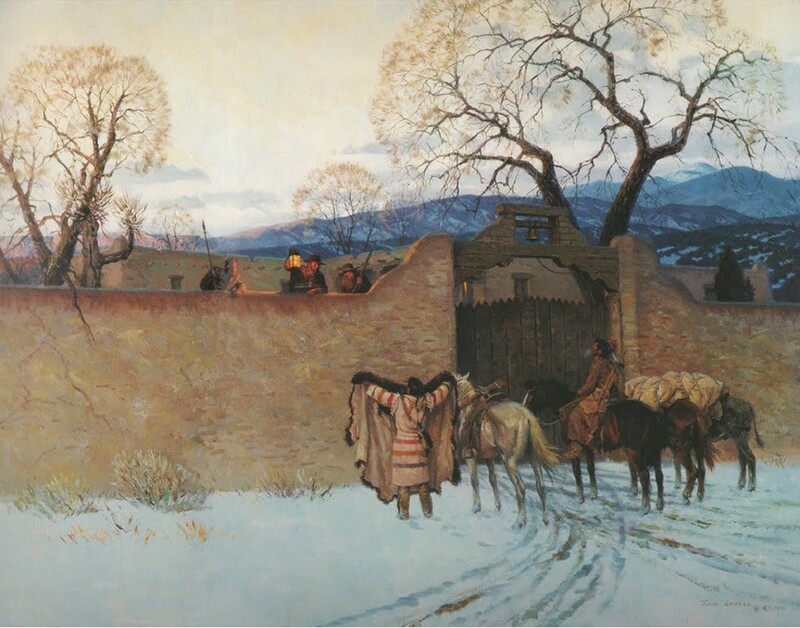 As valedictorian of his class, he spoke on the "Ill Treatment of the American Indian by the U.S. Government", a harbinger of his depictions of the West. 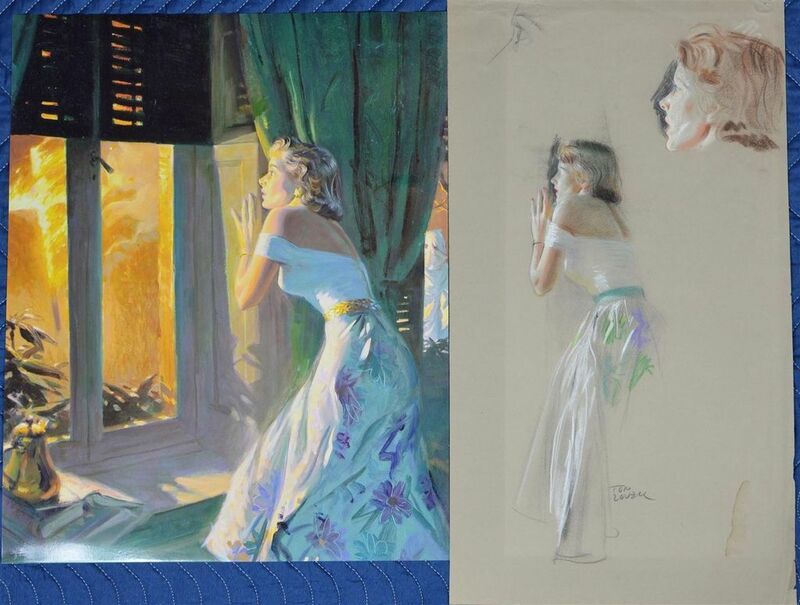 In 1931, he received a Bachelor of Fine Arts from Syracuse University in New York. 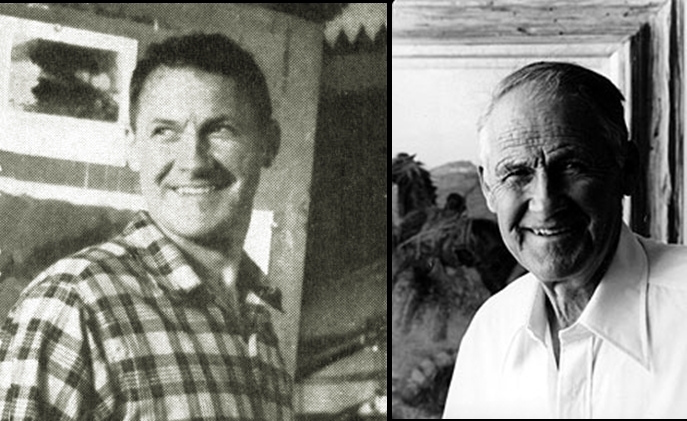 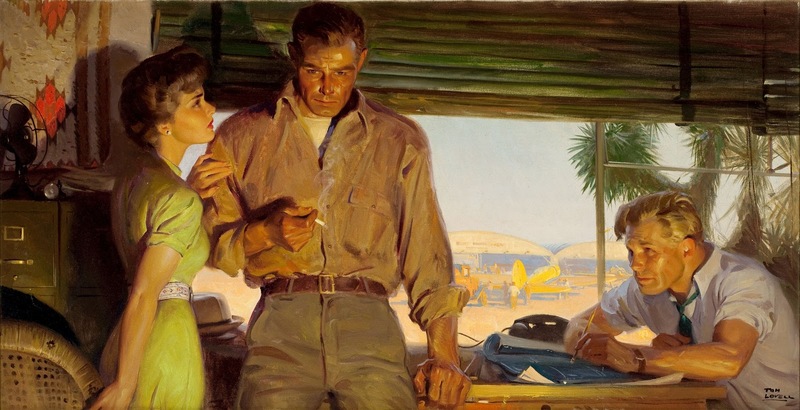 For thirty-nine years he was a freelance illustrator for many well-known magazines including "Colliers", "McCalls", and "National Geographic". 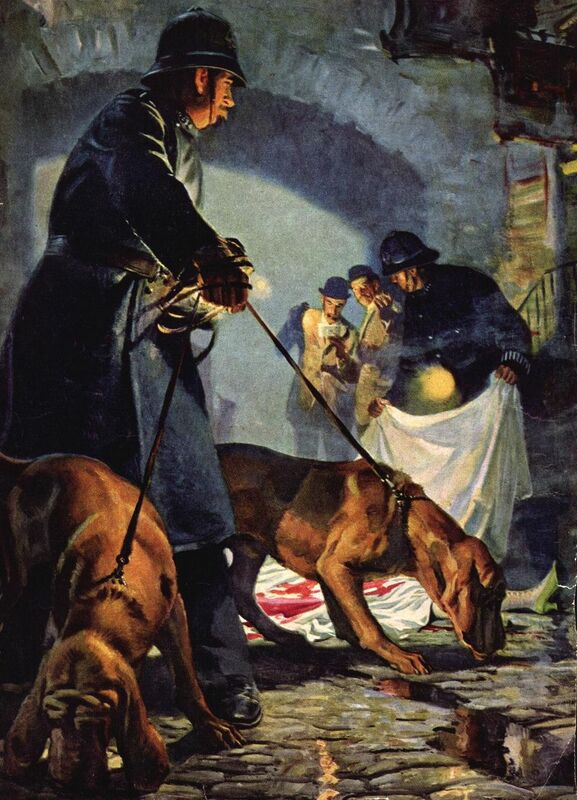 He was also known as a pulp illustrator, associated with "Dime Mystery" where his "ingenuity at picturing the bizarre instruments of torture dreamed up in the pulp writers' imaginations was nothing short of remarkable". 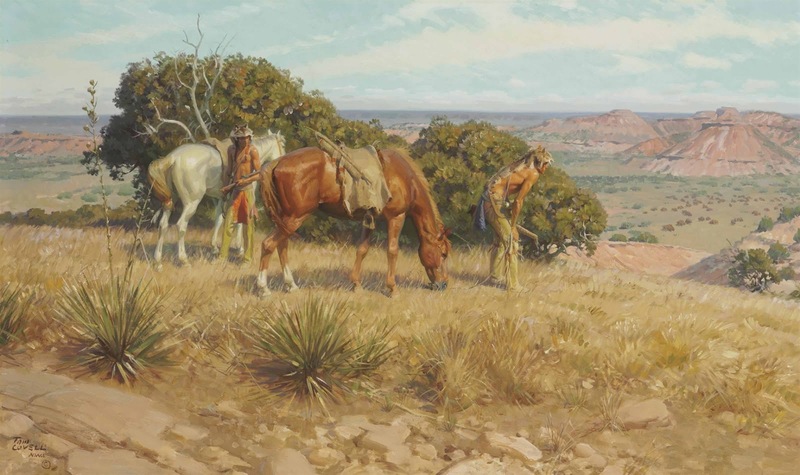 In 1975, he and his wife moved to Santa Fe, New Mexico, and that same year, he was elected to the Cowboy Artists of America. 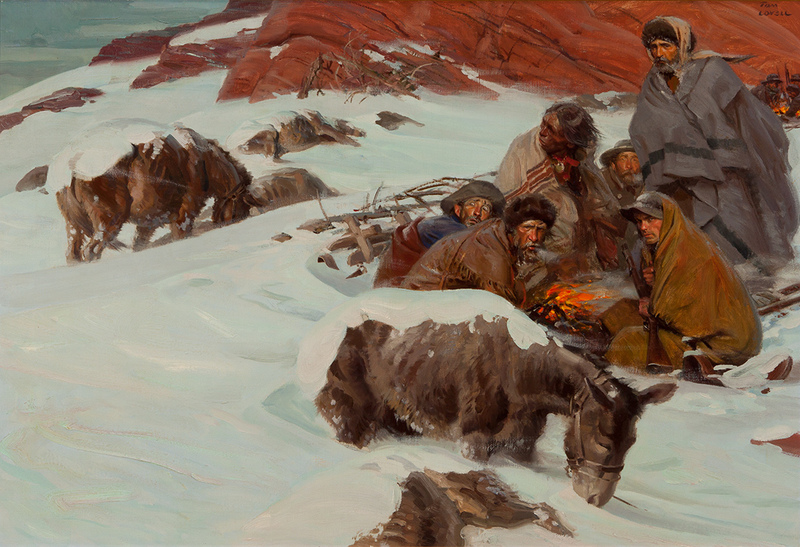 Many of his paintings focus on historical western subjects such as relations between white men and Indians and early expeditions. 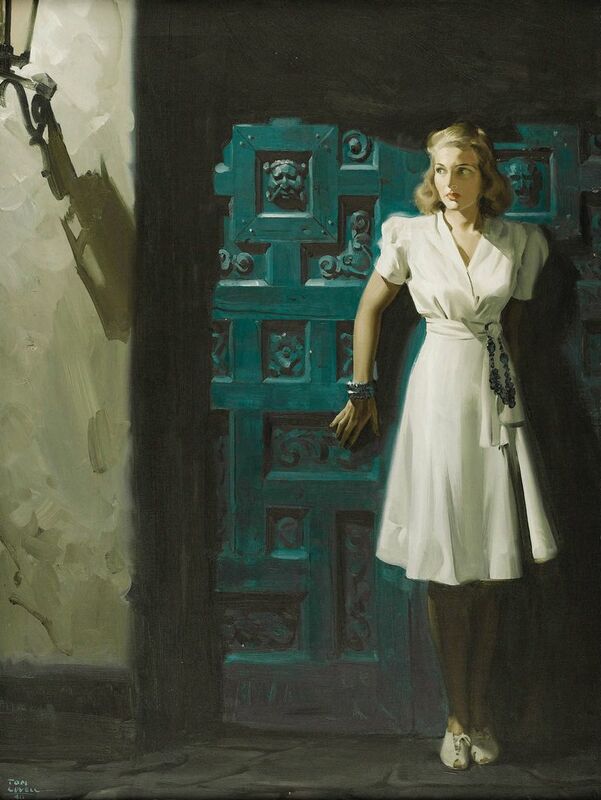 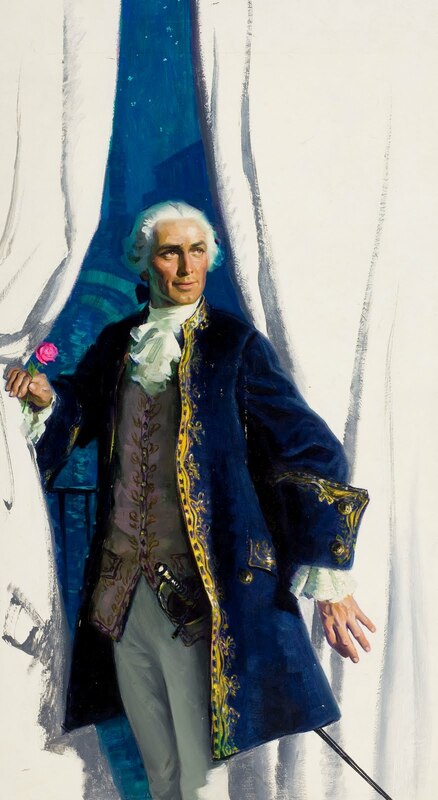 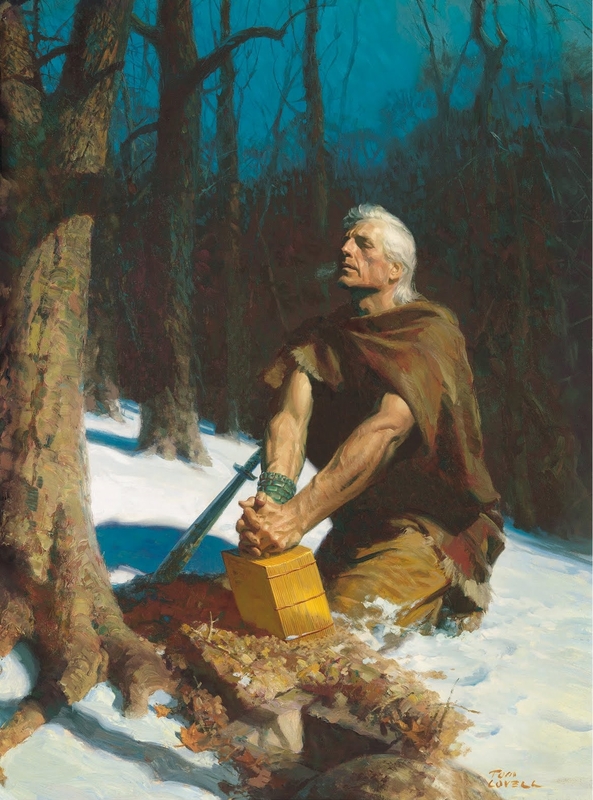 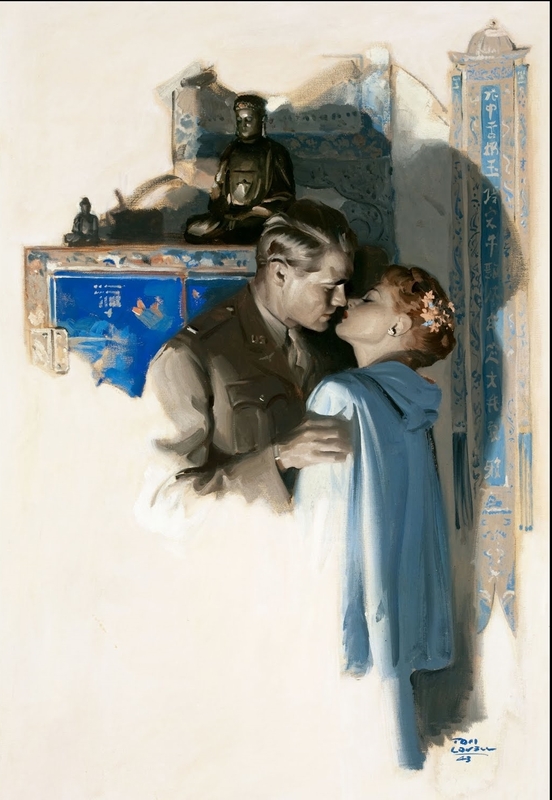 Tom Lovell came to western subject matter with impeccable credentials and the reputation of a mature, highly-regarded artist and illustrator. 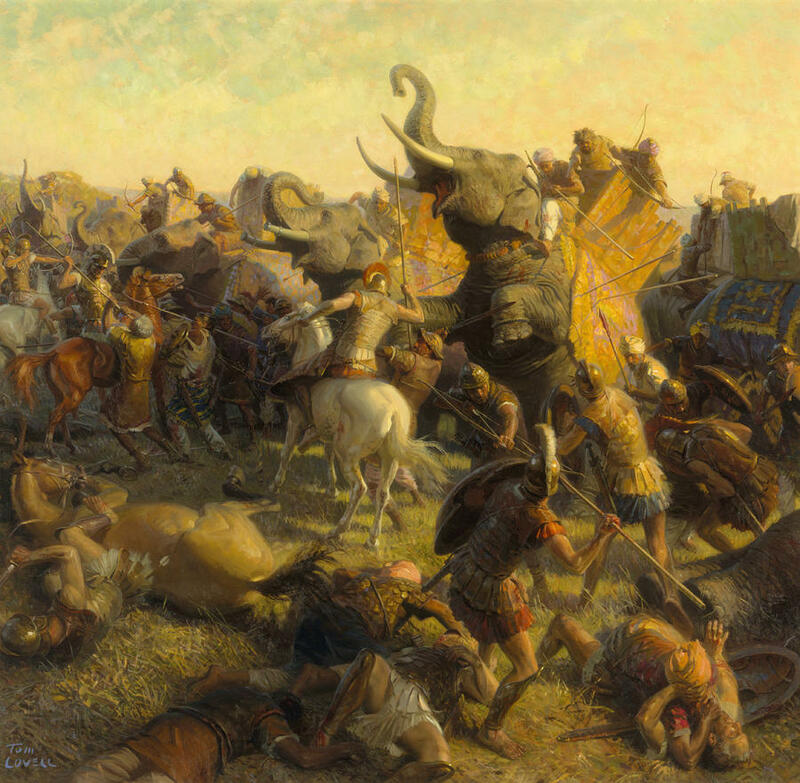 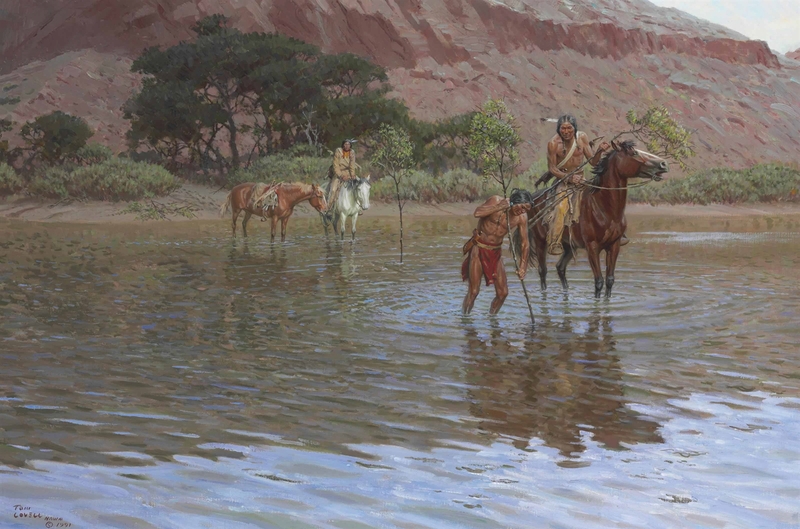 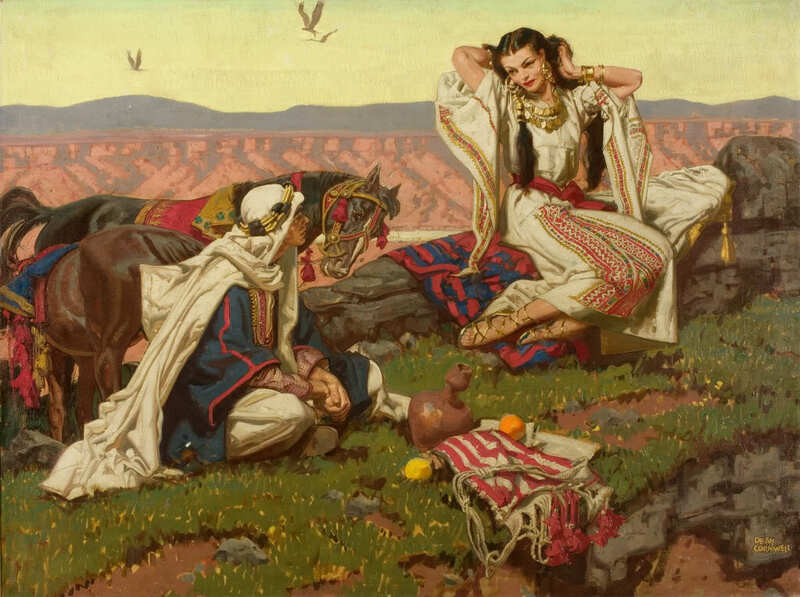 A graduate of the College of Fine Arts at Syracuse University, Lovell chose to use his talent to paint western subjects. 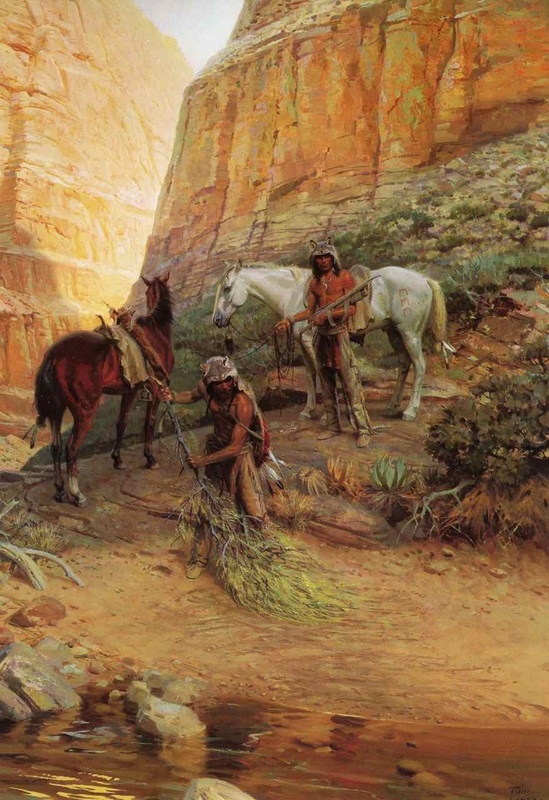 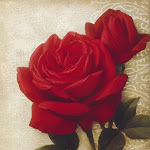 Lovell was drawn to the history of the Old West and its wealth of inspiration for the historical painte. 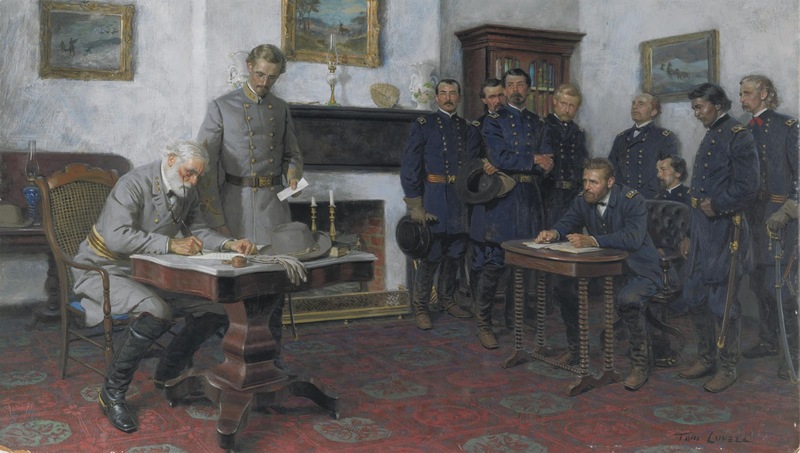 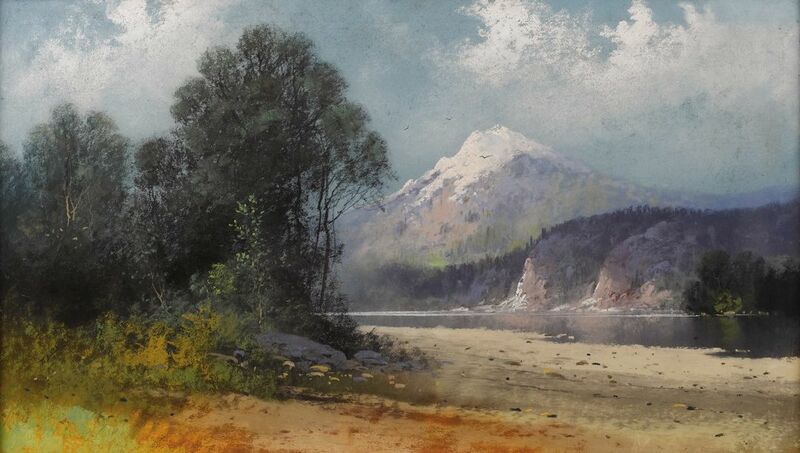 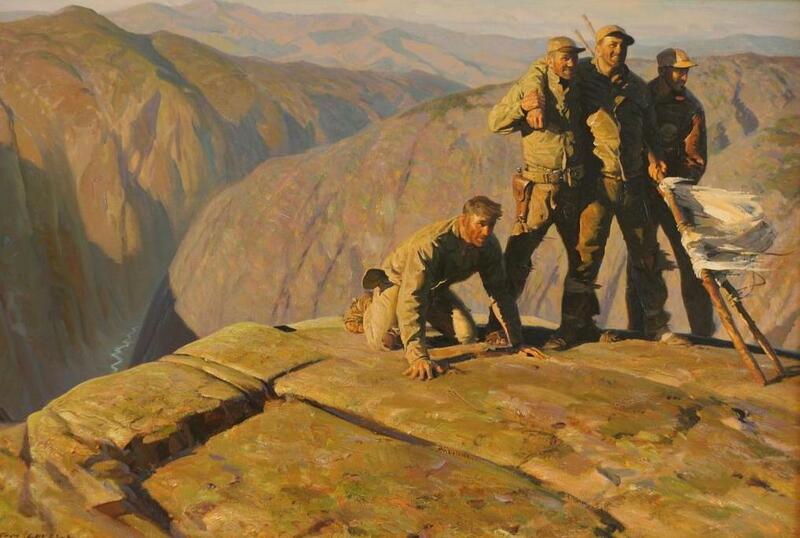 Although drawn from history, Lovell's paintings are fresh and vital, never tired or hackneyed. 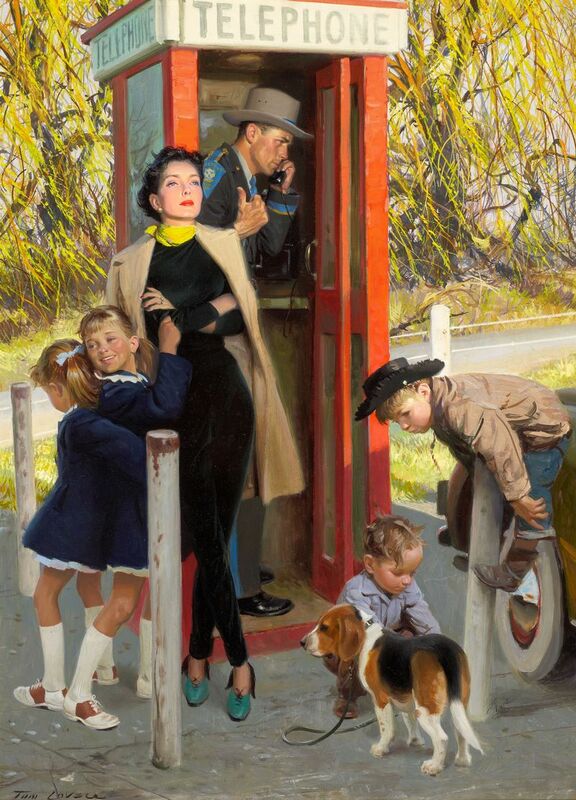 The quality of his contribution to contemporary western art is remarkable. 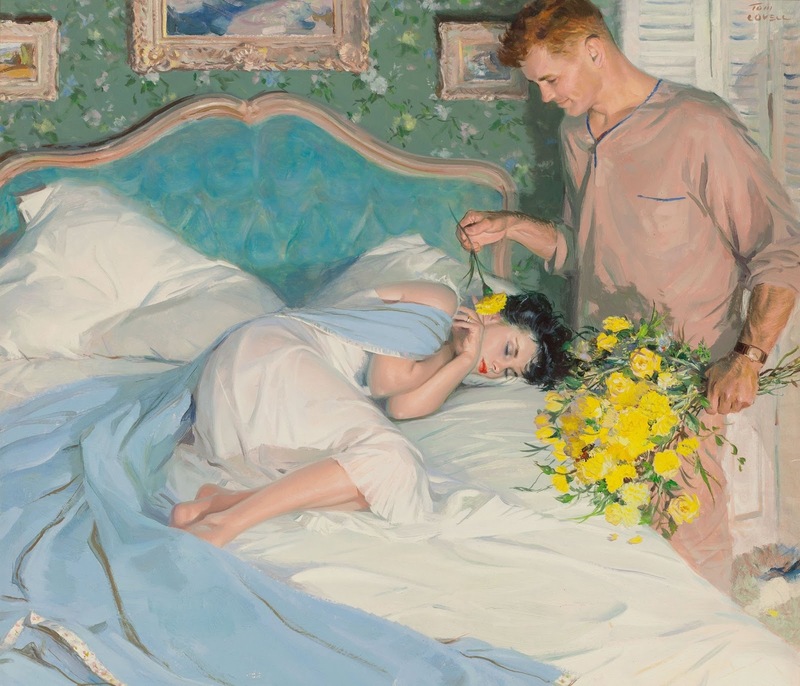 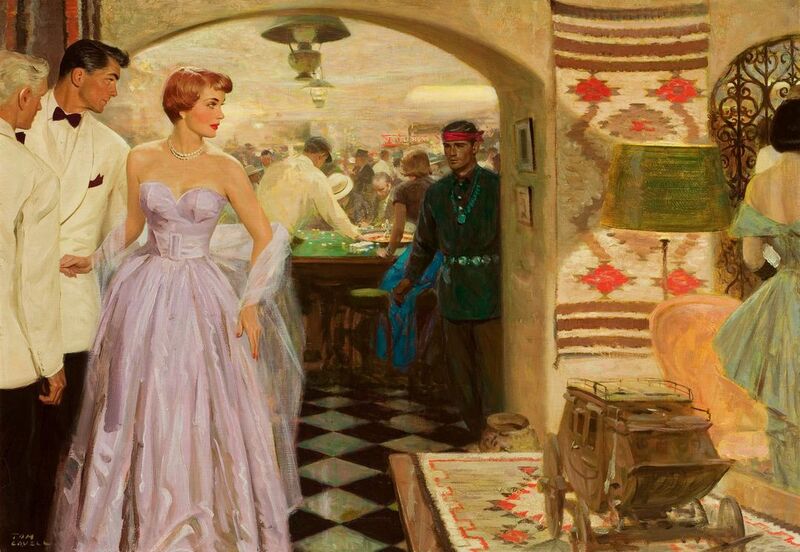 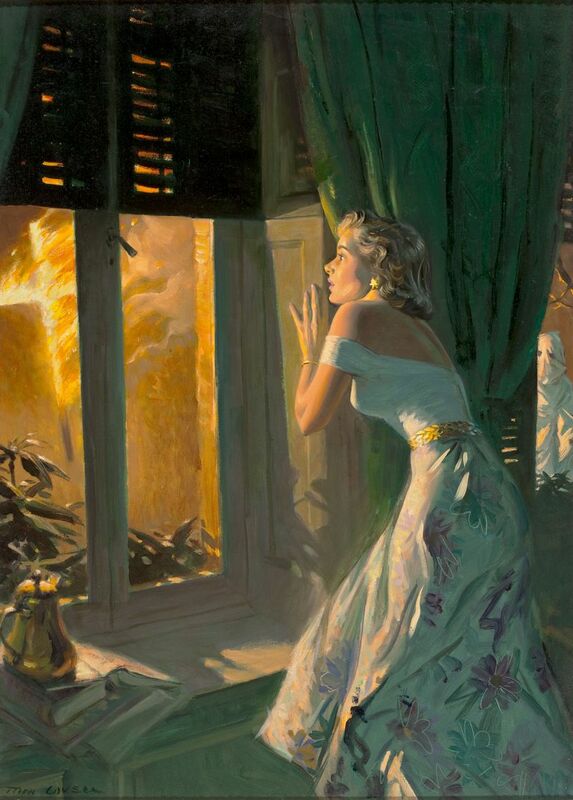 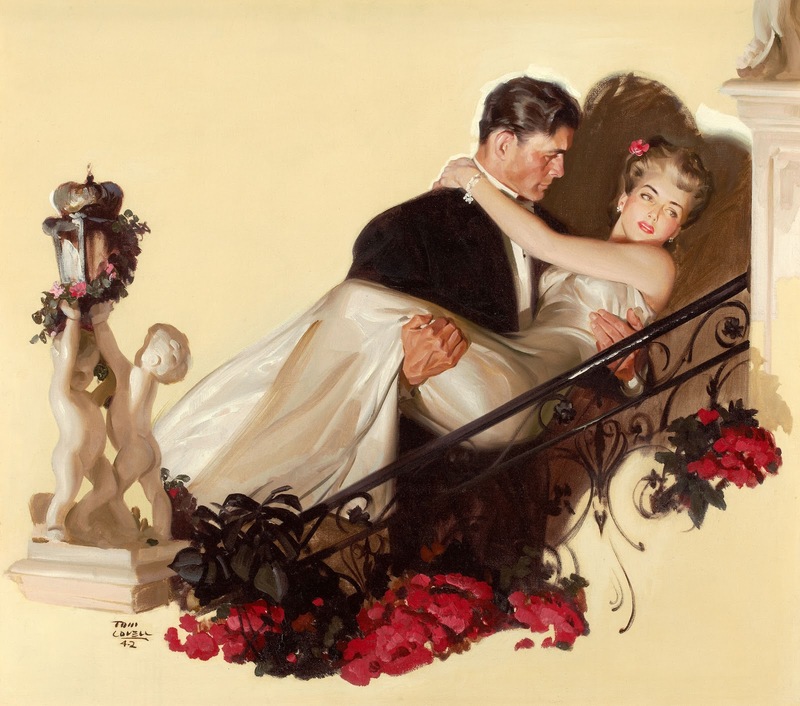 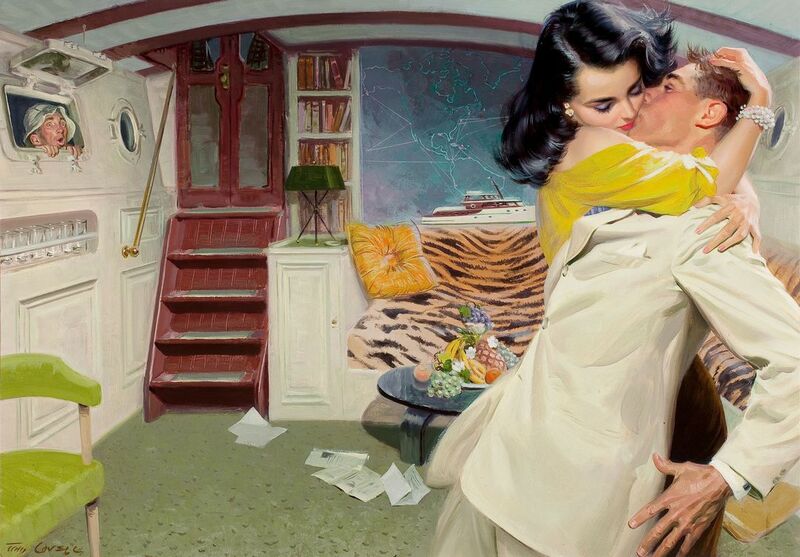 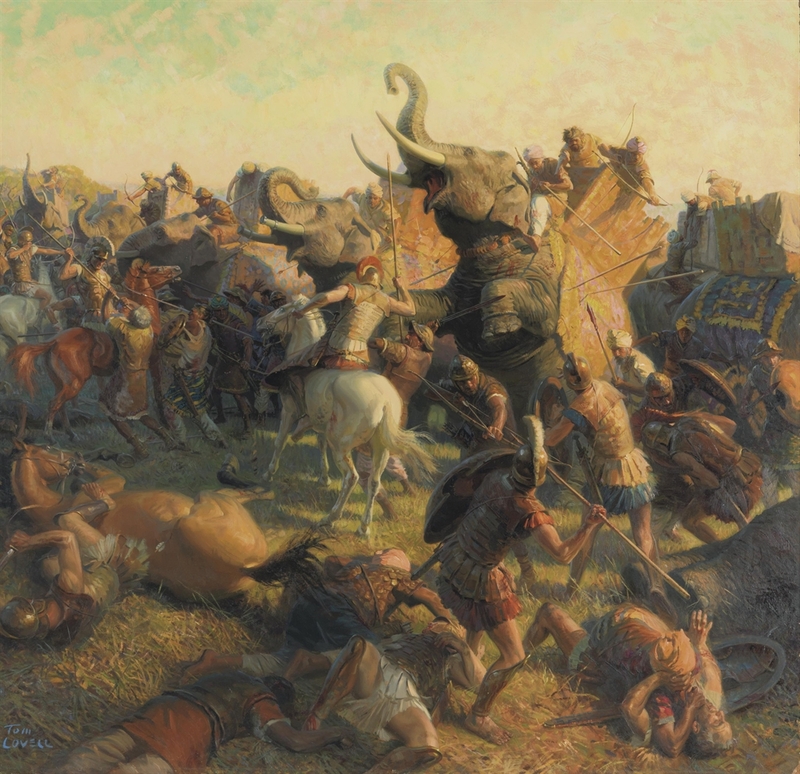 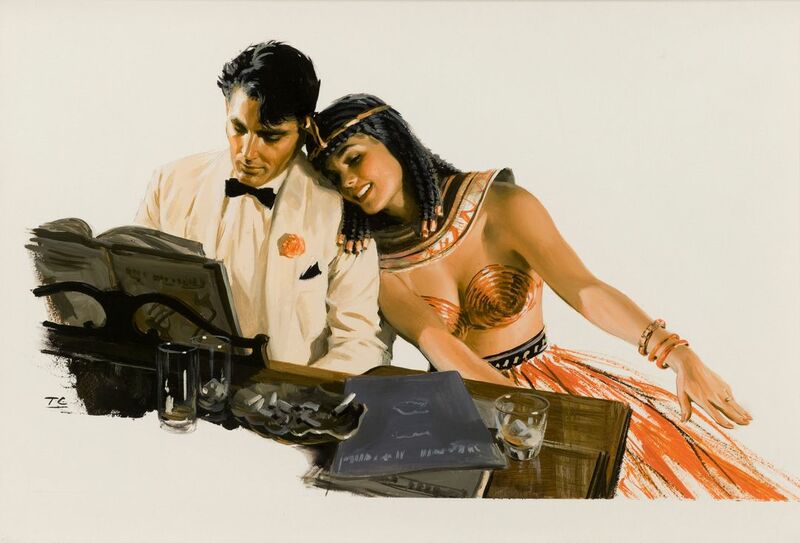 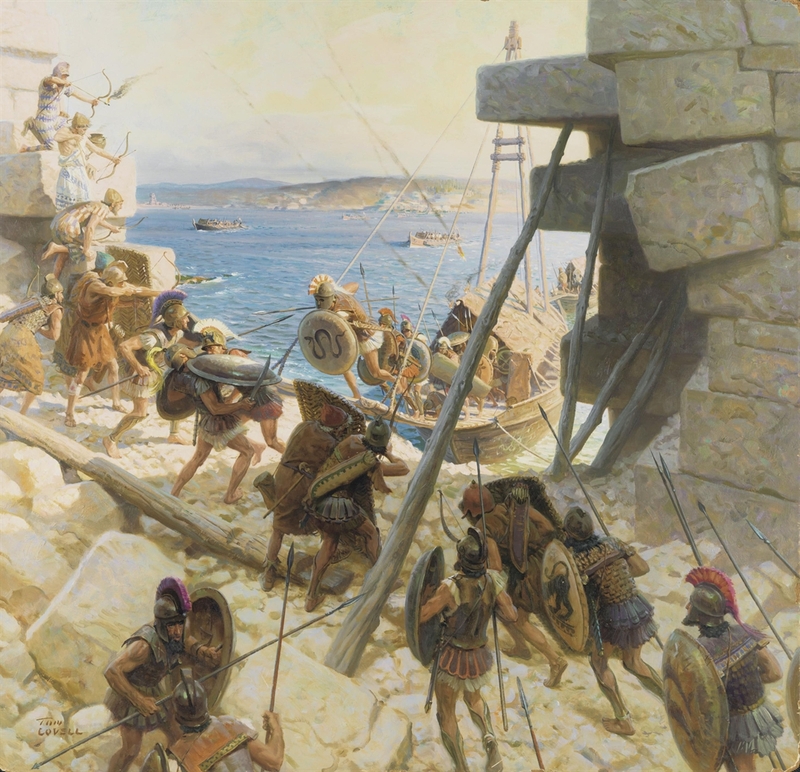 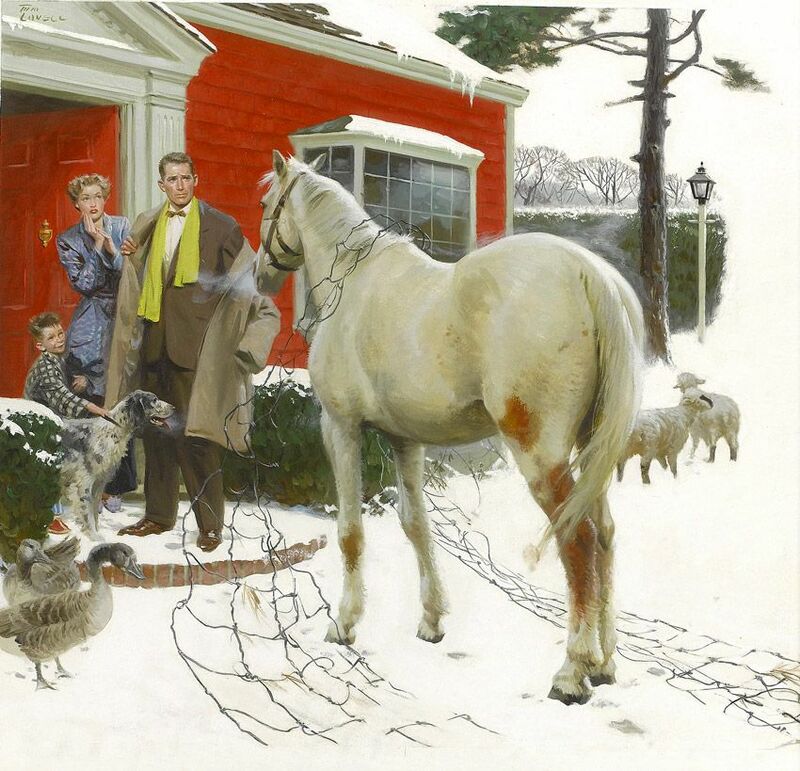 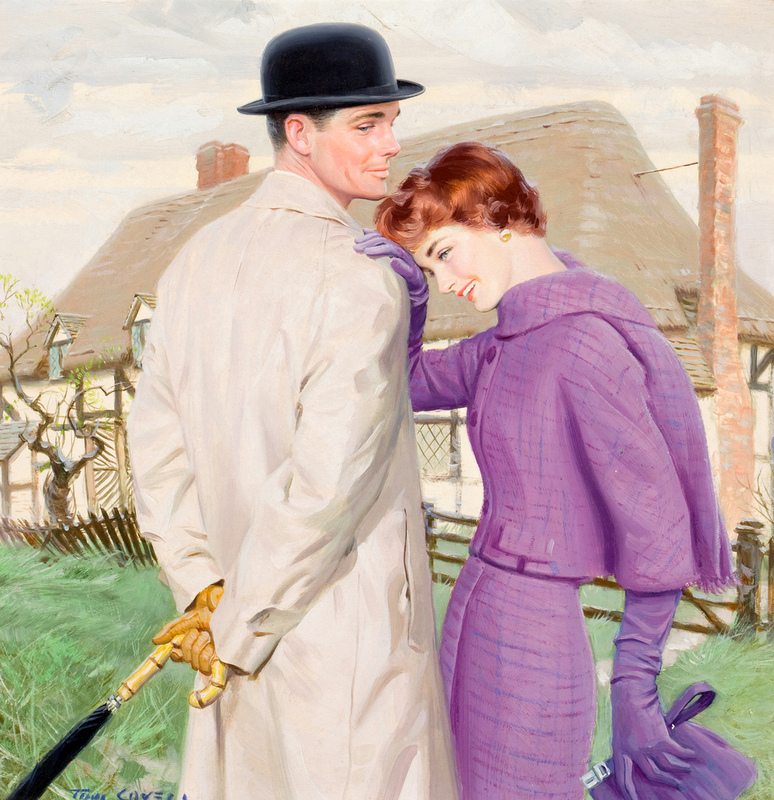 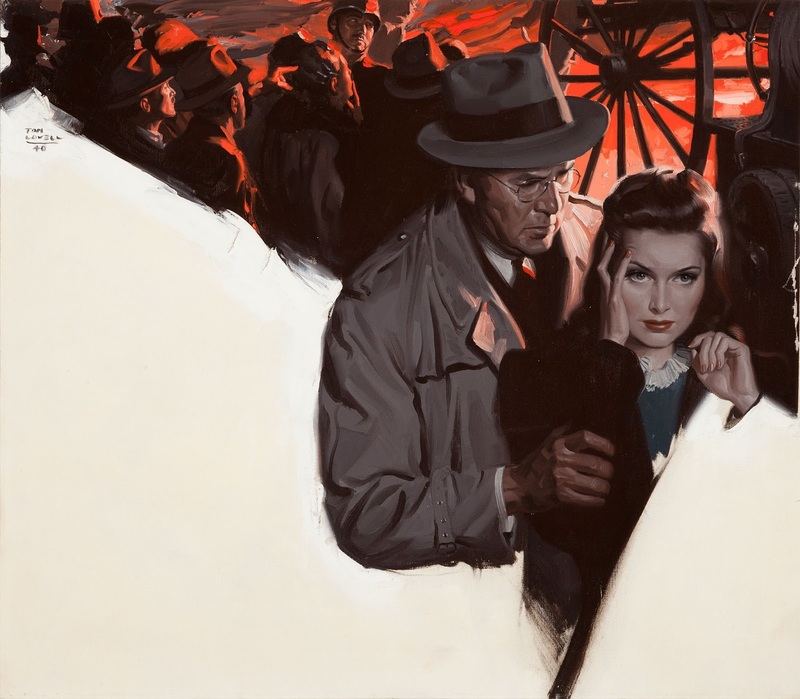 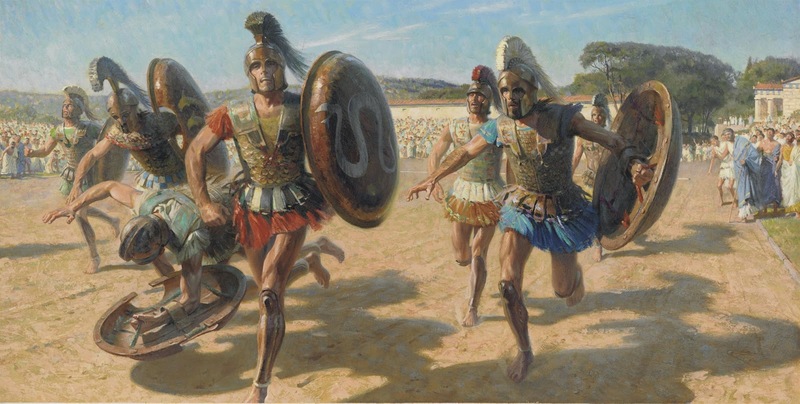 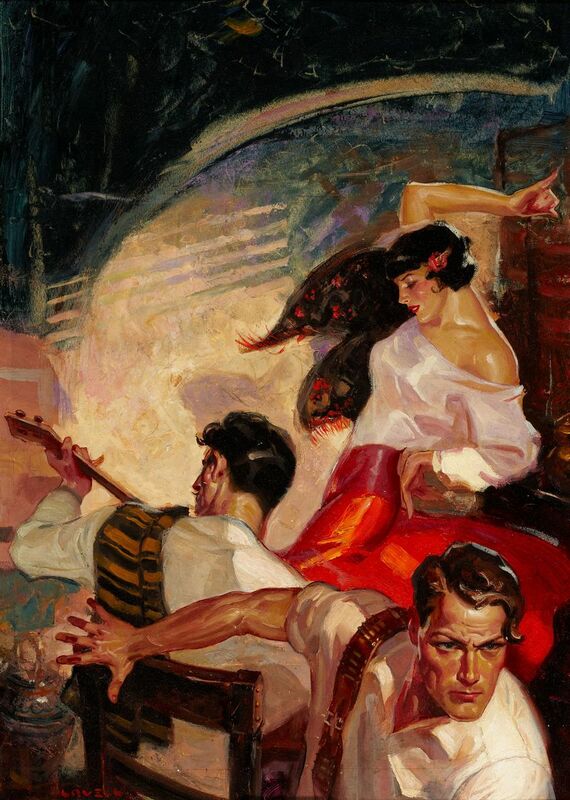 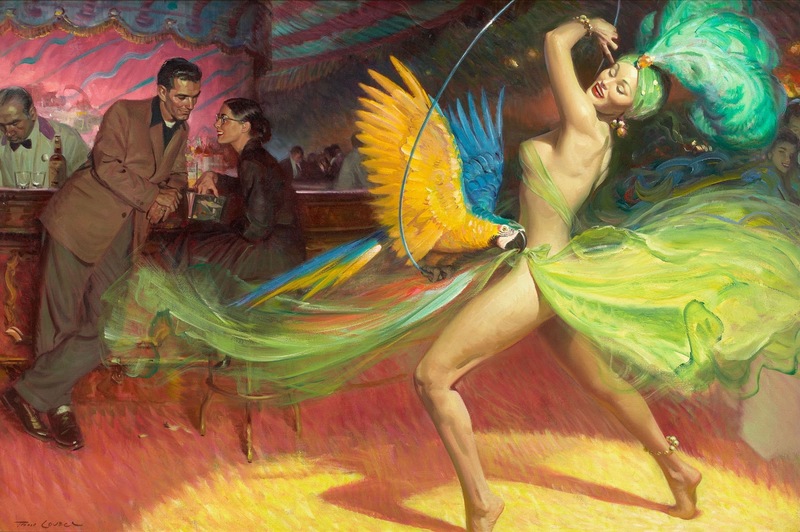 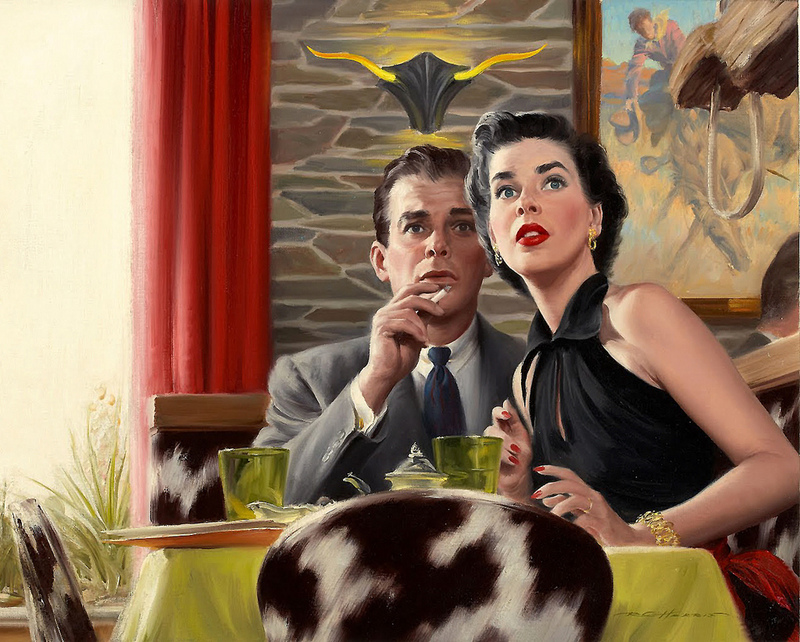 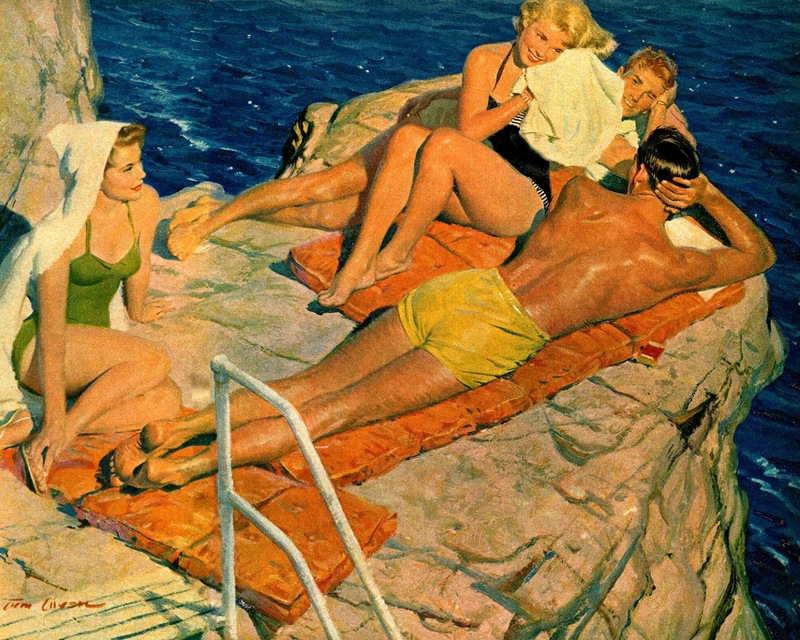 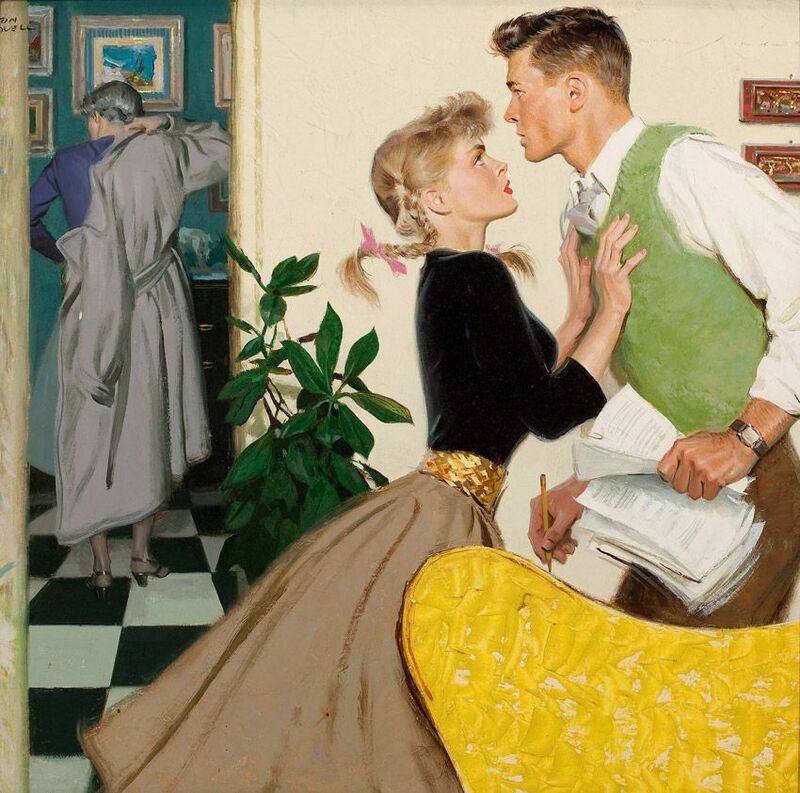 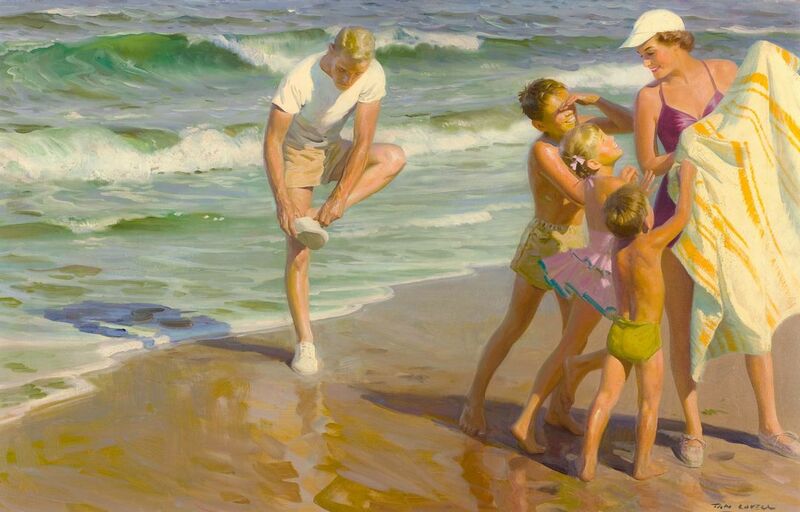 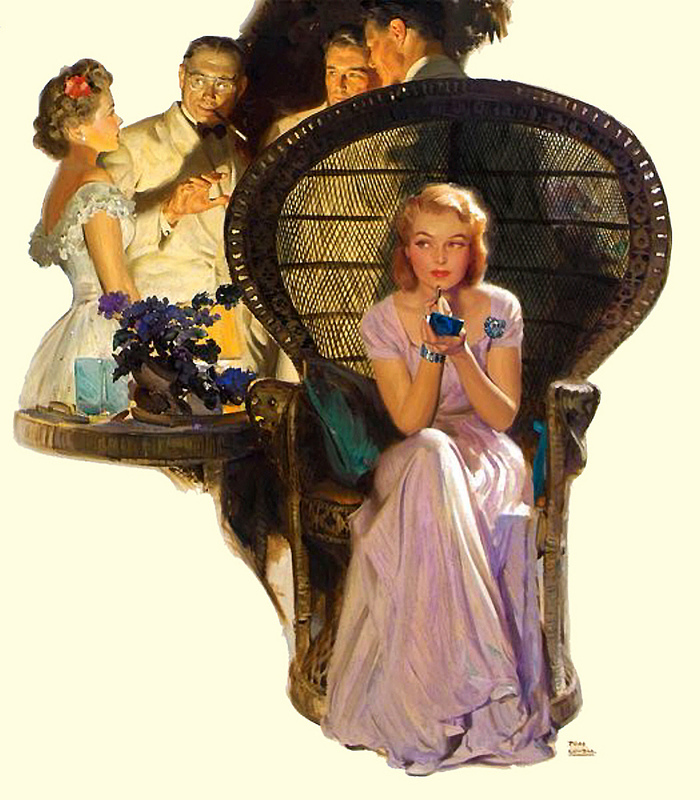 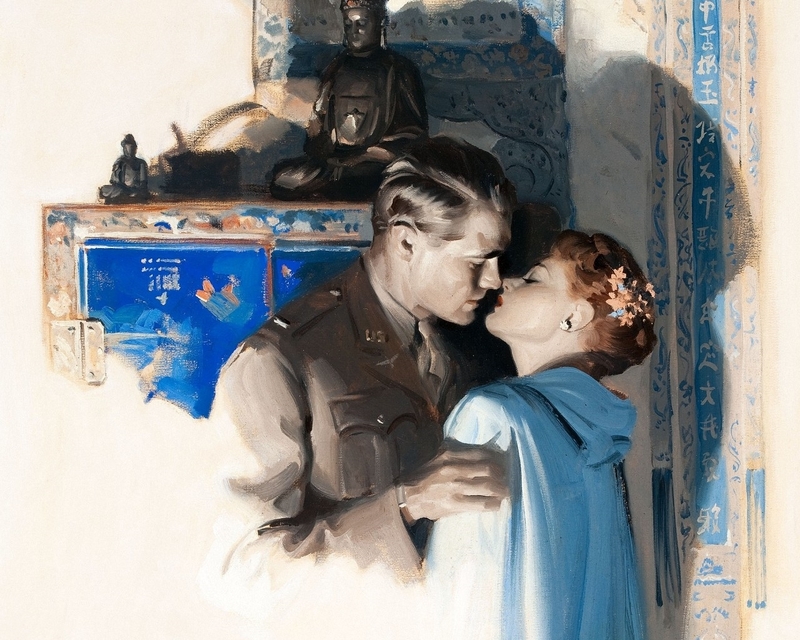 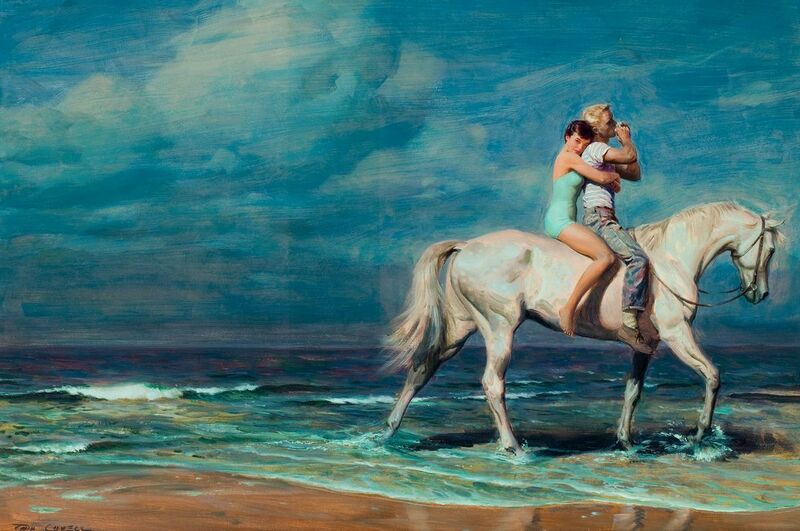 Tom Lovell's work clearly illustrates the argument that western art be regarded as fine art.